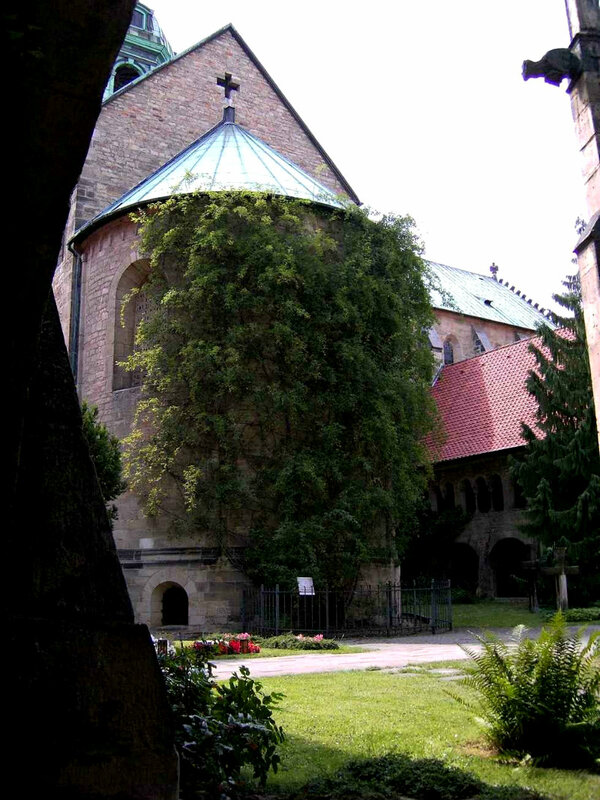 The Thousand-Year Rose of Hildesheim. More of an out-of-control tree than the lilting flower the name might suggest, the Rose of Hildesheim, otherwise known as the Thousand-Year Rose, is thought to be the oldest living rose on the planet, and it looks to continue to be for the foreseeable future since not even bombs can stop it. Growing up the side of a columnar portion of Germany’s Hildesheim Cathedral, the now-bushy flower is thought to have been planted in the early 800s when the church itself was founded. Miraculously, the hearty plant slowly crept up the side of the apse for hundreds of years, and still continues bud and bloom each year, producing pale pink flowers once a year (usually around May). While the rose bush looks as though it’s big enough to have been growing for a thousand years, the plant has been nearly destroyed a number of times throughout its history. Most notably the bush was nearly completely razed during the Second World War when Allied bombs annihilated the cathedral. Every bit of the plant above ground was destroyed, but from the rubble, new branches grew from the root that survived. Today the the base of the Thousand-Year Rose is protected by a squat iron fence and each of the central roots is named and catalogued to protect one of the oldest pieces of natural beauty one is lucky to find. via The Thousand-Year Rose | Atlas Obscura. This entry was posted in SCIENCE AND NATURE and tagged Europe, plants. Bookmark the permalink. ← Stylish Dressers from Yesteryear.